Don’t just pick a title. Pick the role that you’re best suited for as a founder. Prior to founding Adored, I was the CTO of Dyn, an engineering-first internet performance company. I thoroughly enjoyed the role, especially the opportunities it gave me to speak with members of the tech community. When moving to Adored, I knew I wanted to make the shift to CEO. While both roles do have some commonalities, there are glaring differences that can make it a difficult transition. But most tech-savvy entrepreneurs aren’t shifting roles when they build their startup; they are deciding whether to be a tech-focused CEO or a business-savvy CTO. If you understand the core responsibilities of each role, you can make sure that you’re providing value to your company. And don’t chase a title — choose a job that you’re suited for. Here are a few differences to keep in mind. Set the vision and direction of the company. Without a solid vision, the company has no chance of moving forward. Your leadership team will help guide you and support your decisions, but without setting the foundations yourself, you risk your workforce not knowing entirely what their driving goals should be every day. Hire and retain the best talent you can find. Seems obvious, right? It’s not always so simple, however. Especially when starting out, your desire to build out your team may tempt you to take on employees who may not be a complete fit for the vision you created. Do yourself and your other employees a favor and only hire the best of the best. It will ultimately help you in the long run when you are running full steam ahead with a solid team. Similarly, once you’ve found these great fits, find ways to ensure that you can keep them on board. Make sure there is always money in the bank. Starting a new venture is stressful enough without going month to month wondering if you’ll be able to keep the lights on. With plans to continually bring in new deals or customers and proper budgeting, you can help ensure that you’ll always have that cushion. 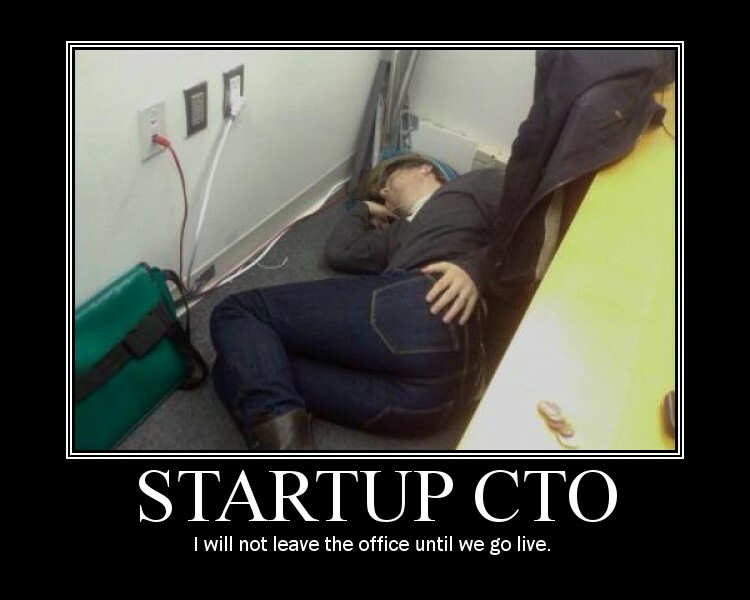 By contrast, a CTO’s roles and responsibilities can take many different forms. While a CEO should always focus on those three core responsibilities, a CTO’s tasks may have more fluidity. For a founding CTO, the role is largely a function of an individual’s personality and strengths, whereas in the case of a non-founding CTO, the role tends to be defined by the industry and the strengths or areas of focus for the rest of the executive team. Taking the differences between CTOs a step further, Werner Vogels from Amazon Web Services wrote a great piece about how there are four different types of CTOs: the Infrastructure Manager, the Technology Visionary & Operations Manager, the External Facing Technologist and the Big Thinker. It’s a great read and he absolutely nails the four types. How do your skills complement those whom you would like to work with? For example, if you’re working with a group of all technically-minded folks, your business acumen may better suit the company by you taking the role of the CEO. How well can you create a healthy tension and drive a dialogue on speed, cost and quality tradeoffs for your major initiatives? There’s a big difference between ensuring the dialogue happens and just coming up with an answer. No matter what path you take, however, both roles share certain critical skills. The CEO and CTO will have their differences, but no matter what, the person who takes either role should be a great storyteller who inspires a following, enjoys the thrill of success for their team members more than themselves, and is ruthlessly introspective with a balance of confidence and humility.